Do you own and operate a pad foot roller? What precautionary measures have you undertaken to insure your safety? Aside from having reliable heavy equipment insurance cover, many owner-operators take pad-foot roller precautionary measures for granted. Experts in the safety industry have noted a steady rise of rollover accidents over the years. These “mean machines” are known to elicit both awe and fear. 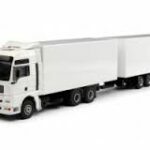 Aside from their bulk, the degree to which they are utilized can be considered tough and more challenging than the rest of the heavy vehicles out there. For pad foot roller owner-operators, it is prudent to recognize what factors can trigger rollover accidents. We have compiled some of the most notable ones and what to do about them. Sloped Grounds. 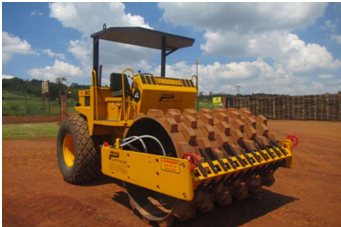 Pad foot rollers and similar heavy machinery have specific specifications as well as standard operating procedures for crossing slope surfaces. Make sure these guidelines are followed or strictly implemented to ensure operating on ideal conditions. When not indicated on your manufacturer’s manual, it is always best to err on the side of caution when working with a pad foot roller. Unsafe Terrain Conditions. Uneven or unstable terrain can be hard to tackle with a pad foot roller. One wrong move and you can easily tip on your side causing a rollover. Your wheels may also sink into soft land crevices or slide-off on a slippery slope. As much as possible, check soil conditions and monitor areas which are uneven, unstable or slippery. Sharp Corners. You may be asked to take charge of a construction site which may involve the navigation of sharp corners. As much as possible, go slow and work with caution when working in such areas. Your vehicle may topple or you may be injured when taking a fast sharp turn. The wearing of a seatbelt is also a must when operating. Torque Mishap. It is common for rear wheels of a pad foot roller to get stuck in mud or silt or ice. This, however, can prevent wheels from freely turning causing damage to the lift-off mechanism of the equipment’s front end. When not managed correctly, this can flip the vehicle backwards– in a matter of seconds– leaving an operator injured and your vehicle damaged. 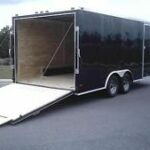 Instead, make good use of safe winching techniques to free or reposition your equipment. 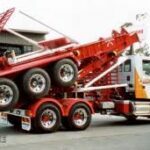 Suspension and Tyres.A poor suspension system and under or over-inflated tyres or any other abnormal condition on equipment can often result in disaster. These conditions can adversely affect traction and control of the steering when compacting or making way through uneven or sloped grounds. Rigid suspension systems may also result in traction or steering control loss. Prevent harm to your body and to that of your equipment by always following the manufacturer’s standard operating precautions. 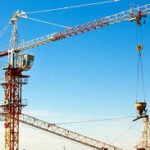 Worksite hazard assessment must also be done prior to starting any on-site operation. Training and retraining for competency in safety management is also a must. Preventive maintenance should be included as well. Of course, don’t forget Pad foot owner-operator income protection insurance. To learn more, call our contact number or email to request a free quote.